MUST WATCH: A Video Of A Bewitched Doll, That Frightened The People Of Mexico! There are lots of horror stories that you can hear from our grandmothers. The stories of ghosts, monsters, bad spirits and mythical creatures. Although there are some evidences that these things do exist, there are still some people who do not believe in it. In line with this, one video is trending today on social media. 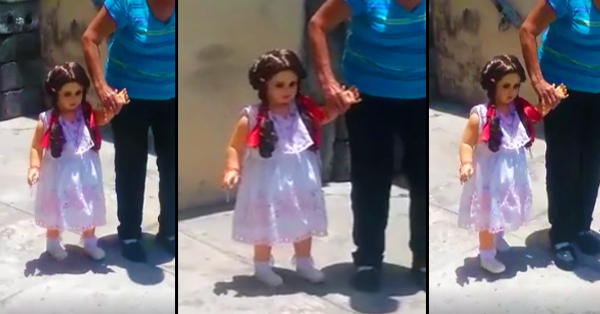 The video shows an allegedly bewitched doll owned by Rosalba Valdez Alvarado, she is an old woman from Saltillo, Mexico. When Rosalba holds the hand of the doll, the doll walked with her even without the battery. But when the other people hold the hand of the doll and ask it to walk, it did not walk. Guillermo Rios is the one who uploaded the video. The video earned 5.5 million views in just three days. "Everybody said that it is a fake, but they would need to be there in order to see that it is not a trick," Rios said. Sounds creepy, right? Let me hear from you. Write your comments below.